This past summer transfer window was a mixed bag for Arsenal. With Lucas Torreira, Mattéo Guendouzi, Bernd Leno, Sokratis Papastathopoulos, and Stephan Lichsteiner, there was a blend of youth and experience. Of the five, Sokratis, Torreira, and Leno were seen as either starters or at the very least challenging for a starting berth. Guendouzi, even with his incredible start as a Gunner, was brought in as a prospect, while Emery viewed Lichsteiner as experienced cover for Hector Bellerín. While Torreira and Guendouzi are, rightly so, receiving most of the plaudits by the Arsenal faithful, Sokratis has quietly gone about his business shoring up Arsenal’s defense. With Laurent Koscielny’s torn Achilles, Unai Emery had just three senior center backs at his disposal when he arrived in North London: Calum Chambers, Rob Holding, and Shkodran Mustafi. Arsenal needed to find a defender, and while the likes of Thilo Kehrer and Mattia Caldara swapped clubs for above £30m, Arsenal eschewed young center backs in favor of an experienced defender: Borussia Dortmund’s Sokratis. In hindsight, the £17.6M that Arsenal paid for the Greek international was a bargain and a half, but the initial announcement was met with mixed feelings by the Emirates faithful. Some rejoiced that Arsenal signed an experienced, no-nonsense defender, while others complained that he was too old. Frankly, a particular sect of reactionary Gooners has always been quick to judge players, hellbent on criticizing their own players and demanding more for the club. With this group being the harshest critics of the Arsenal first-team, Sokratis would have to hit the ground running to quell the vitriol. On paper, Sokratis’ CV is impressive. In his first year with Die Schwarzgelben, he was voted into the Bundesliga XI of the 2013-14 campaign. In the first half of the 2014-15 season, Sokratis had the joint-third highest tackle success rate in the Bundesliga. During his time in Germany, he reached four consecutive DFB-Pokal finals, winning the cup in May 2017. Though Sokratis had his struggles during the 2017-18 season, in which he was benched and phased out of the team, his quality never faded. Though his time in Germany was fruitful, he is already writing a new chapter of his career in England, one that might reap as many rewards, one that could see him prosper despite being on the wrong end of 30. Though he has only recently adorned the famous white and red, he has already proven to be an asset to the team, with his standout quality being his intelligence. Sokratis is not one to jump into tackles without first assessing the situation. On the contrary, he is mindful of his strengths and weaknesses. He has an innate understanding of when to commit to the tackle and when to jockey to slow opponents down. He’s not short of confidence with the ball at his feet either. The Greek defender picks his passes intelligently, allowing teammates to receive on the back foot to advance play. It might have gone unnoticed, but Sokratis’ willingness to drive with the ball into the half-space near the 18-yard box and use the fullbacks as outlets has been essential to playing out the back. Once he releases the ball in the half-space, he holds his position, allowing the full-back an outlet if he cannot advance the play. Arsenal has lacked this sort of competence at the back since Per Mertesacker’s and Laurent Koscielny’s prime years, but Sokratis is slowly bringing the composure of 2013/14 back. 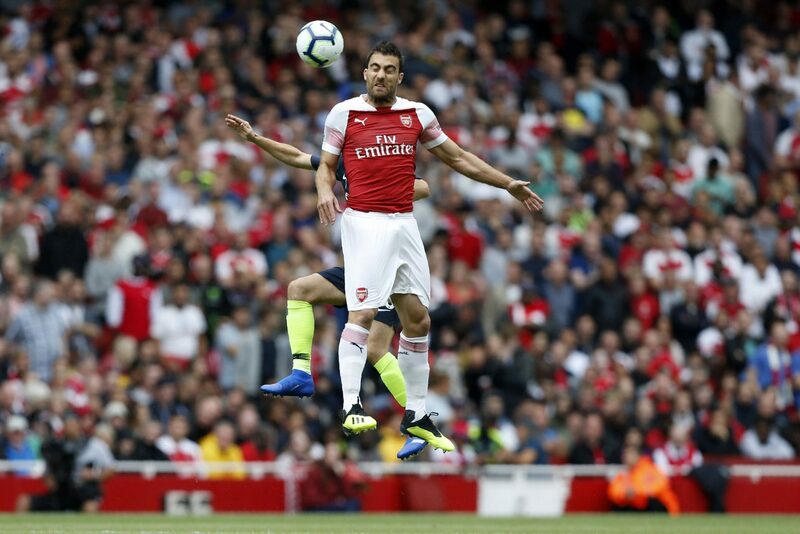 Age should not be used as a barometer to measure the quality of a player; though Sokratis is 30-years old, his intelligence and calm demeanor will suit him, and Arsenal, well for the coming years.